14 Protect your hands...Use your head. 15 People, helping people all lending hands for our safety. 16 Safety is about doing the right thing, even if no one is looking, because safety starts with me! 17 The safety of our team members should always come before the production of our parts. 18 Prevent the worst and Put safety first, because being Safe today will keep you Alive tomorrow. 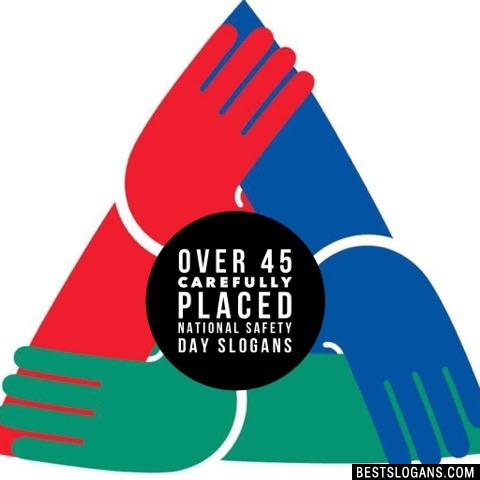 Can you think of a good National Safety Day Slogans we're missing? Or come up with a clever one of your own. Please share below.